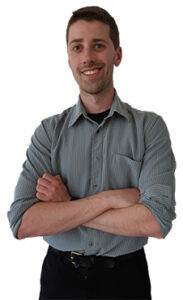 We would like to welcome Zach Butler to the SafeCare BC team, as Digital Media and Communications Coordinator. Before joining SafeCare BC, Zach attended Simon Fraser University where he received a degree in Communications. What interested you about working at SafeCare? Being able to work for an association that aims to help people. Continuing care workers are the unsung heroes of the health industry. Contributing to creating a safer work environment for them is an exciting goal. I am most excited to be in a position where I can help share continuing care workers’ stories. When most people think about what the most dangerous or injury-prone work environments are, the continuing care sector likely isn’t at the top of their list. As the Digital Media and Communications Coordinator for SafeCare BC, it is my goal to provide a platform for stories to be told and help raise awareness of some of the challenges these workers face. What was your first, or most unusual job? My first job was at a grocery store where I was a courtesy clerk – a fancy way to say I bagged groceries. If given a chance, who would you be for a day? I’m a huge Beatles fan, so Paul McCartney would be my choice. When not at work, what do you like doing in your spare time? I love playing guitar. It’s something that I taught myself and it has been an incredibly rewarding experience. Outside of that, I enjoy playing tennis and going indoor rock climbing. This past Christmas I was given a Kindle, so I have been catching up on classic books I’ve never read. Right now, I’m reading through 1984 by George Orwell. A Police Officer. I come from a policing family and that tradition was something I wanted to continue growing up. Coincidentally, working Communications in the health industry has also turned out to have a strong presence in my family, so I did end up carrying on a tradition! My favourite movie is Groundhog Day starring Bill Murray.